Digibody’s first-day, first-hours point of view: Live Tweeted. We’re tagging the Watch not a watch but a Companion and iConnection device. Second-day thought: It’s a hub, a portal, it needs another device to really do what it’s meant to do to be a ‘companion’ – an interactive and intelligent (iConnect) link in a system most effectively used now with iPhone 6 and iOS 8 and, as time goes by, the apps will begin to hit the market in 2015. It’s just the beginning of #iConnection. This thought from R/GA at FutureVision — recalling our founder’s relationship with R/GA back when it first started up and we were doing doing servo-drives and title sequences. Robert’s opening credits for Superman in 1978 remain classic (btw, did you know Mario Puzo of Godfather wrote Superman thinking of Marlon Brando for Superman’s father?) Robert Greenberg’s work with R/GA continues and is amazing. DigiBody’s founder, Steven Schmidt, met and had an opportunity to work with Robert and later in his career as president of Aspen Interactive, the digital arm of the largest privately held marketing services company, Steve continued as an admirer of R/GA. A touch of R/GA about Apple’s Sept. 9th announcement, one week later, as we longingly look at our white iPod next to our keyboard. 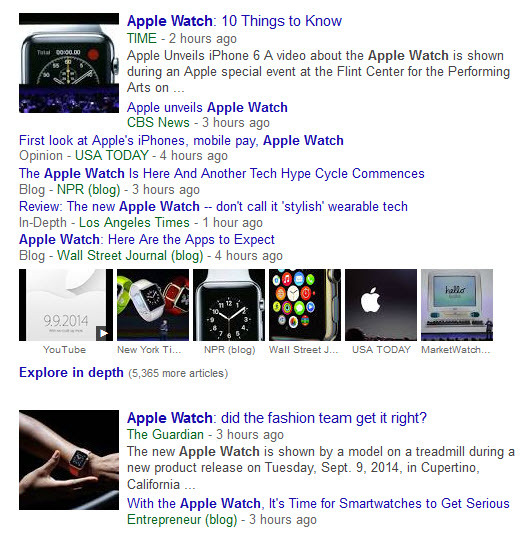 The reviews are mixed, to be expected, as #AppleWatch is not available. The specifics, apps and answers to questions are limited. The Silicon Valley paper of record, Mercury News, takes a hard look at the Watch. Add comment. 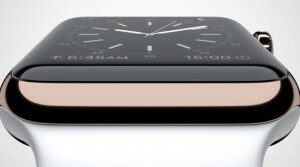 $349 Apple Watch, Apple Pay system, health apps, $199 iPhone 6, $299 iPhone 6 Plus unveiled. Updated September 9, 2014 3:04 PM By THE ASSOCIATED PRESS. 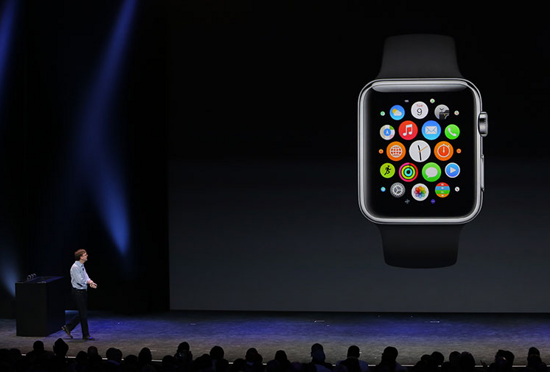 Apple CEO Tim Cook announces the Apple Watch Caption / Share. Much was revealed at Tuesday’s Apple event. The iPhone 6, the iPhone 6 Plus and the Apple Watch, just to name a few. WSJ’s Personal Tech Editor Wilson Rothman breaks down the highlights. Photo: Apple. The iPhone is no longer really a phone. Will the Apple Watch Define Tim Cook’s Legacy? Sept. 9 (Bloomberg) — True Ventures’ Om Malik and Bloomberg Contributing Editor Paul Kedrosky discuss how Apple CEO Tim Cook compares to Steve Jobs. They speak with Emily Chang on “Bloomberg West.” Bloomberg’s Cory Johnson also comments. CUPERTINO, Calif. — For the first time in years, Apple’s iPhones weren’t the star of the show. Apple unveiled a smartwatch on Tuesday, a wearable device that marks the company’s first major entry in a new product category since the iPad’s debut in 2010. Are the New iPhones Too Big for Women’s Hands? At the hotly-anticipated event held at Apple headquarters in Cupertino, Calif., the electronics giant introduced consumers to the two versions of the next-generation iPhone 6 as well as a brand new product: Apple Watch. CNET takes a look at the pros and cons of the superhard material, and why practical constraints kept it from appearing in Apple’s latest smartphones. by Ben Fox Rubin • @benfoxrubin; 10 September 2014, 9:02 am AEST. comments. 0. facebook. twitter. Apple’s Big Day: Can They Top Smartwatch Rivals? Will Apple Finally Be Able to Replace Your Wallet? Apple Watch hands on: a compelling beginning? Apple Hosts Its Worldwide Developers Conference Apple Senior Vice President of Software Engineering Craig Federighi speaks during the Apple Worldwide Developers Conference at the Moscone West center on June 2, 2014 in San Francisco, California. NEWS AT. TECH FANS ALL OVER THE WORLD HAVE BEEN WAITING FOR THIS DAY FOR A LONG TIME. APPLE PRESENTED ITS MOST RECENT PRODUCTS, iPHONES ARE NEW, BUT THAT’S NOT ALL. Gene Munster, Piper Jaffray: Apple exceeds expectations on payments. “Apple announced its new payments platform, Apple Pay, at the iPhone 6 event. Apple Pay is a full mobile payments solution that works with American Express, Visa and MasterCard. Apple delivered three big, expected pieces of news during its two-hour event: larger-screen iPhones, a watch and a mobile-payments system. But there were intriguing and even surprising details. Here are some key takeaways beyond the big headlines:. Will Apple Watch Lead the Masses to Strap-On Wearable Tech? Apple’s iPhone 6 launch: how much will the new phones cost you? iPhone 6 Plus: Is Bigger Better for New Model? Sept. 9 (Bloomberg) — Bloomberg’s Sam Grobart takes a hands-on look at Apple’s new iPhone 6 Plus. The iPhone 6 Plus has a 5.5 inch display and over two million pixels. (Source: Bloomberg). Video: Apple iPhone 6 Plus: Is Bigger Better for New Model? For the first time in years, Apple’s iPhones weren’t the star of the show. Embed. <iframe width=”476″ height=”270″ src=”http://abc7chicago.com/video/embed/?pid=300875″ frameborder=”0″ allowfullscreen></iframe>. WLS. Tuesday, September 09, 2014. Apple fans and engineers gathered in Cupertino, CA for a hotly anticipated announcement, which turned out to include not only the latest version of the iPhone (the iPhone 6), plus a larger version (the iPhone 6 Plus), but the much-rumored Apple Watch. Apple unveiled a pair of updated iPhones, a smart wallet and a smartwatch. Will they please investors? BTIG analyst Walter Piecyk joins the News Hub with Sara Murray. Photo: Getty. In an ambitious blitz of new products, Apple Inc. AAPL -0.38% Apple Inc. The iPhone 6 vs. 6 Plus: Which Should Go On Your Wish List? 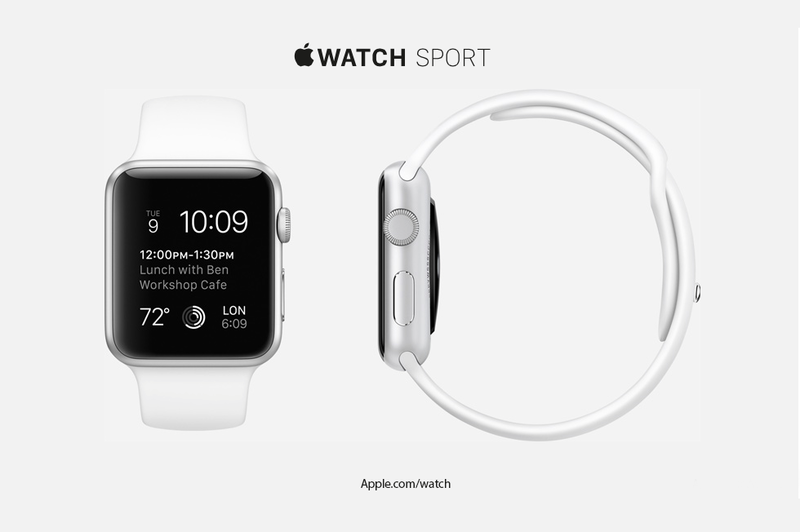 Apple Watch (Image: Apple). While it was rumored that Apple would unveil a smartwatch at its iPhone 6 event, the watch that it ended up unveiling simply blows away the competition and takes the Digital Crown.